A Beautiful range of day beds made from robust metal or wood materials and designed in several elegant and traditional styles. A day bed makes a stunning piece of furniture that can double as a bed when required. Choose from next day delivery with discounted mattress options. A day bed offers the perfect solution for combining a comfortable seating area, which can also transform into a bed when required. These type of products work well when space is at a premium and you want to get the most use out of the room as possible. Day beds are usually manufactured from either wood or metal. The metal builds are by far the most popular at Bedstar, with a wide range of styles and colours available. 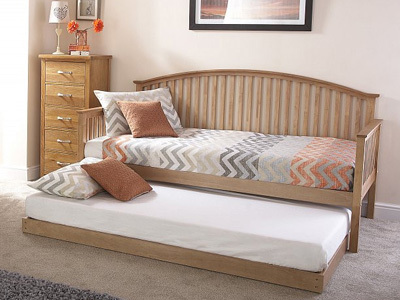 These style of beds also add a unique look to any room, whether it is in the lounge, hallway or the bedroom. 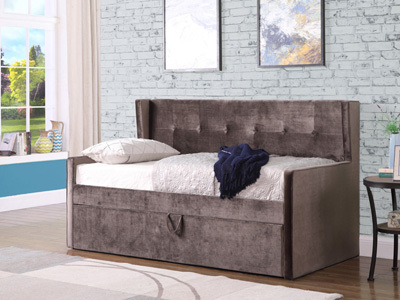 One of our most popular brands is the Serene Marseille, which comes with an optional trundle bed, which is a pull-out under the frame guest bed. This wonderful design allows for two persons to sleep on it and is essentially a double-day-bed. 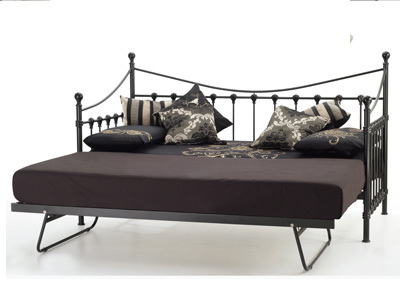 The Marseille Bed is available in glossy ivory or black, both of which are extremely popular this season. 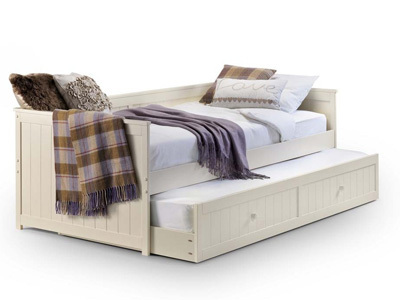 The other option you have is the wooden day bed. This can either be painted in a unique colour for those DIY enthusiasts, or a standard lacquer where it could be located on the patio or in a conservatory for hot summer days. 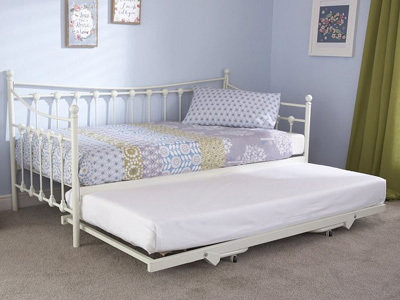 As with the metal selection, there’s the availability of the trundle guest bed. If the under guest bed is not a requirement, then perhaps a set of storage drawers might be a better solution if space is at a premium. With two large drawers underneath, a lot can be hidden away in neat and tidy drawer. 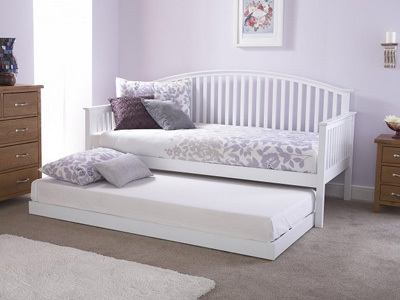 We currently carry most of the day beds and under beds in stock for next day express UK delivery. If you are looking for seating that can be transformed into a bed, be it single or double, then a day bed or a sofa bed is what you need to add a splash of style to your room.